R. R. Pandey | I.K International Publishing House Pvt. Ltd.
post-graduated from Rohilkhand University, Bareilly in 1979, and obtained his Ph.D. degrees in Botany from Banaras Hindu University, Varanasi in 1984. From 1985-1995, he worked as Post-Doctoral Fellow, Research Associate and Pool Officer at Banaras Hindu University and partly at Rohilkhand University. In 1995, he joined the Department of Life Sciences, Manipur University, Imphal as Assistant Professor and promoted to Associate Professor in 2007 in the same university. His area of specialization is Mycology, Plant Pathology and Microbiology. He has over 14 years experience of teaching and 25 years of research experience. 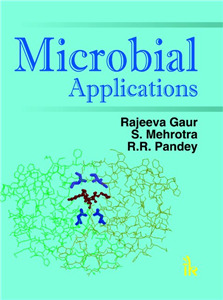 Dr. Pandey has published 32 research and review papers in national and international journals/edited books of repute. Two scholars have already been awarded Ph.D. degrees under his guidance. Recently, he has completed a research project entitled ';Comparative studies of microbial diversity and soil biological processes during leaf litter decomposition in natural oak forest and plantations of Manipur, North East India' funded by the Ministry of Environment & Forests, New Delhi. Pandey is the Fellow of the Indian Botanical Society (FBS), and the International Society for Conservation of Natural Resources (FNRS). He is the life member of Indian Phytopathological Society and Indian Science Congress Association (ISCA).